Walter Andersen Nursery was started in 1928 by Walter Andersen Sr. in the Old Town area of San Diego. At that time it was landscaping and garden supplies. The nursery has moved a few times, the present San Diego location is the fourth. Poway was built around 1995 to service the growing area of Poway and Scripps Ranch. The nursery is still a 'family operation' run by Walter Andersen Jr., his wife, Jolene, and the two children, Ken and Karen. We strive to find the best plants we can and one of the largest selections of plant varieties around. We have a full staff of knowledgeable employees to help you. We deliver to most parts of the western half of the County. We hold weekly garden classes at both stores, with special events about twice a year at each location. The Poway store also has a special Garden Railway set up and sells outdoor railroad equipment. I am usually here (at the Nursery) four days a week if someone 'wants to talk', or wants to show me something or get an opinion from me. 'Trigger' was probably my Father who started this nursery in 1928. He put his heart and sole into it, until he was almost 81 when he had to quit. I started work in the nursery after school when I was in High School and summer. So it was a gradual learning experience. When I went full time I was making all of the deliveries for the nursery, which lasted about two years or so. You learn a lot on the delivery truck. Then I was put in charge of buying the goods for inside the store, and stocking the store, you learn even more then. So that is pretty much how I got into the business, I started full time about 1960 and worked with my Father until he had to slow down about 1979. He did come in on occasion to see if everything was going ok, and to talk to some of the employees and old customers. My wife has been working in the business as well, She started about 1970 or so, kind of hard to remember way back when. She is still working in the accounting part of the nursery now, but used to help customers and cashier in her younger days. I have two children Karen and Ken, both work full time in the nursery. I know a little about a lot, but not a lot about a lot. This is one of three that we use the most. 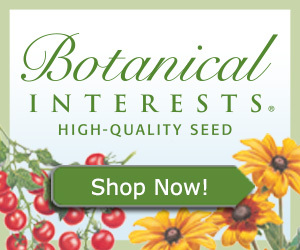 Monrovia Growers (Formerly Monrovia Nursery) has a great site giving descriptions on many plants they have available. A wonderful site with lots of photographs. Is 45 years formal enough? For myself, I tend to like plants from the tropical and sub tropical parts of the world. I like foliage and also unusual plants, Boxwood and Eugenia I can live with, but don't have any myself. Some of the new Hibiscus (and older ones too) are spectacular. Everything does not have to be "tropical" Camellias and Azaleas, have wonderful color when most other plants are not blooming, however I have none in my landscape at present. Some of the Bromeliads are wonderful with unusual blooms and bright colored foliage, what diversity, Pineapple to Spanish Moss. Cycads I find interesting as well. I really need to spend more time in my yard and stop goofing around. Peeves are customers who don't think you know what you are talking about when they bring in a dead plant that they have not watered --"It rained two weeks ago" (it was a Bacopa in a basket). This goes on all the time. They bring in a toasted Manzanita, in July. "It is supposed to be drought tolerant. I watered it twice in two months. I did not want to over water it." I'm sure you know. "I want you to replace this Rose. The leaves are full of holes." "Did you spray for worms? 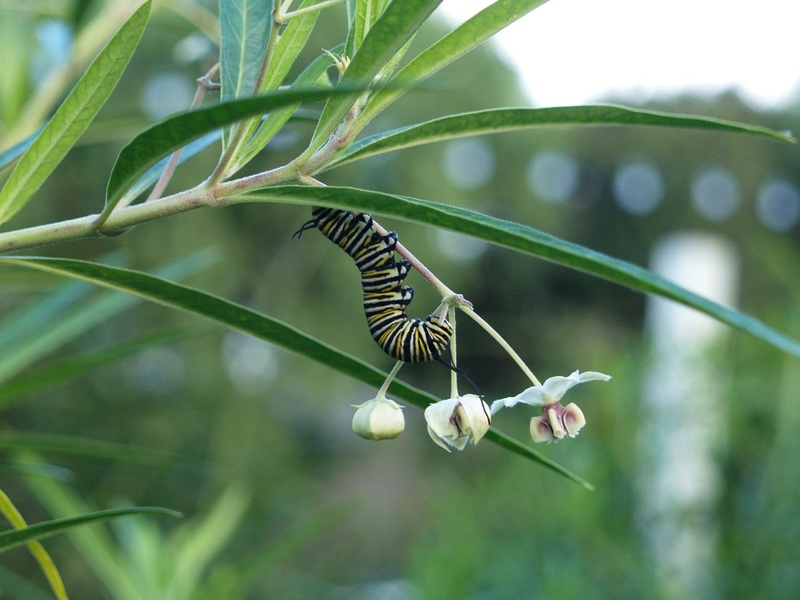 ", "There are no worms, I looked", "What is this little green thing on the bottom of the leaf? Looks like a worm to me!" The joys of a retail nursery. "Peeve" is mild. I also hate it when a supposed "plant person" says "foilage" that really "bugs" me. They sort of lose credibility, in my book. It is a simple word, learn it! At home maybe three hours a week, that is why I said above, I need to stop goofing off and spend more time in my yard. I think that will be my 2006 resolution, if I make it that far. About 40 hours on average, sometimes more some less, depends on the week. I like to see new and unusual plants, nice public gardens and a few private ones as well. I love to travel and have been lucky to be able to go many places some quite far away and have enjoyed every minute of it. I hope I get to go some more, maybe by mid year 2006, but we will see what that brings. I also enjoy my old cars and trucks which take up a lot of time, also enjoy going on trips in them, I have been lucky to be able to go more often in recent years with a couple of friends. We call them adventures! Something always happens, good and bad. For me, it gets my mind off of all the bad stuff both local and local. (not a typo) Also the goofy stuff going on with our City and State and the World. It seems recently the world is about to come apart, but not in my little yard, all is fine. Yes there may be a dead plant or a broken limb, but that is fine, that I can fix, the rest I have no control of. If you dwell on all that is going on I think any thinking person might just go nuts. At least I would. It is cheaper than a psychiatrist. I don't mind getting my hands dirty, nor my clothes (my wife does however). If it did not really bother my back lifting all the soil and pots I could probably repot or divide plants for hours. It is amazing to see how fast they grow in a little larger container in the spring. Even faster with a dab of good fertilizer, which I know I don't use enough of. I really need to be more aware of that. They just look a lot better if they are fed well. I do grow a few things for the nursery, that is very rewarding. Next year I plan to grow more and goof off less, if I can. Still have to go on a trip or two in the old trucks though. It is a disease. About gardening not really very much. I don't like to see something suffer for lack of my attention, which has happened. I hate weeds, and I really don't work on those quite enough, but right now most are not too bad, I do have some however. (next weekend for those, daylight savings messes me up) (I guess I should say 'standard time' gets dark too early). Has to be my Father who started the Nursery, but there are others who I have met along the way who do or did outstanding things. It is difficult to name even close to all, so I hesitate to mention names for fear of leaving some out. But there are some who are above the rest in what they do (did). Some that come to mind other than my Father in no particular order, Mr. Voss (no longer with us) who used to grow Tuberous Begonias mostly for the Del Mar Fair. I think he grew the most outstanding plants of this family that I know of. Jerry Hunter, I have known for a very long time. He brings in some wonderful plants to our area, unbelievable. Jim Wright, has the most spectacular private palm garden I have ever seen. Hans Brich grows Cactus that no one else has and has a fantastic 'private' collection. This is to just mention a few, there are many, many more, but there is not enough room. Paul Ecke Jr., what can I say? Ampol of Ampol Nursery (can't pronounce his last name, can't even spell it) but he is an inspiration as well. Dr. Kent, known the world over. I have had the privilege to meet them, and will never forget. Cliff Comstock from Monrovia nursery was an extra-ordinary person as well. Like I said there are too many to list, and those not mentioned, sorry, but just not enough room. I could list some bad ones too, but that may not be fair. Sorry. Favorite place is probably my front yard, no lawn. Most is fairly mature, just have to do some "fine tuning" now and then. (weeds) Also I try to find just one more spot for something that needs a new home. But it is getting tight. The back yard I have to redo the lawn, it really looks bad, from lack of proper care and three dogs. Next big project. I have only one rose, that used to belong to my mother in law, she loved it, when we sold the house we dug the rose, not sure if it is a Just Joey or a Brandy, but it does not matter, it is very nice, we enjoy it a lot, bugs and all. Afternoon in summer. Winter it has to be my days off, any time. Wow, that is really hard. I have not been there for a very long time but Butchart Gardens was spectacular when I was there about 30 years ago. There is also a Rose Garden in Dunedin New Zealand that would be hard to beat, that was about 22 years ago. The Botanical Garden in Singapore is spectacular, probably the best I have seen. Cape Town South Africa has a spectacular public garden, "Kirstenbach", all sorts of S.A. natives and the first place I have had Ostrich for lunch. The very small "Foster Garden" in the heart of Honolulu I would say is a 'must see' also. It is hard to compare Apples to Oranges. 'The Huntington' is pretty much a stand alone place, as well as 'Lotus Land' for something near by. Green with a splash of almost any blooming plant. Now the questions are getting hard. Difficult to say but one plant, perhaps a palm or palms. I don't profess to be a palm expert by any means, but I just think they are neat trees. In my front yard I have about 45 planted. Perhaps about six or seven different varieties only. If I had room and the gumption I would probably plant more. In general palms are very easy to grow, Very little special care is required, and when you have them 'grouped' or many in one area, it is almost like a jungle. Few insects bother them, in fact I don't recall ever spraying them for anything. I feed them about three times a year and turn on the sprinklers and they are happy. You pretty much can not see my house from the street, and the house is only about 25' from the street. The garage is very obvious, but the rest of the house, is almost invisible from the street. I don't have a lot of palms in the back yard, but a few, there are about 20 different Cycads back there, so they are small in comparison to what is out in front. I am not saying this is for everyone, but it works for me. I kind of like 'tropical areas' to visit, I have been lucky enough to go to Hawaii many times, and it is very pretty in most places. I have also been to Queensland Australia and the palms are just wonderful, as is all of the other tropical foliage. There are so many plants that one can choose, but palms require very little care once you get them going, and so rewarding to look at. I think some of that rubbed off from my Father, he had many palms at his home too. I have lived in this house for over 30 years, so some are fairly mature, but some were planted later so they are not so large yet. But it does not matter, it gives variation to the landscape. I had an Archontophoenix palm die a few years ago from a fungus, it was only about 8' tall, but it really did not matter as far as the looks of the overall landscape, I just plugged in a different palm. If I had two Podocarpus about the same size and one died, it would look really funny if I replaced the dead one with a smaller one, no way to match it. But with palms (in most cases) it does not matter. I used to have a Caryota urens, magnificent palm and quite fast growing. I knew once they bloomed they would die. What I did not know was this thing grew to about 35 feet in about ten years!! So it did not last very long, but they are so beautiful when they get a little size on them. It was worth every penny and ounce of energy to care for it. I don't try to fool with the really tropical ones, Coconut, Wax Palms etc, it is just a little cool some winters. You might be able to get through a couple, but sooner or later the cold will get them. There are plenty others that look really good and do well in our area, why take the chance? I don't do well with Orchids at all. Even Cymbidium are a problem for me. I guess I just don't pay enough attention to them. They are one of the easiest Orchids to grow in our area, but I guess they require just a little more time than I give them. Epidendron seem to do ok, but that is pretty much fool proof. I only have a few of those. Older clothes and worn shoes. I can get pretty dirty. "Do what pleases YOU." You are the one who has to live with it. I would also say keep it as simple as possible so you don't become a slave to it; if it becomes too much you may tire of it and tire equals neglect in my book. Do what you enjoy and can be proud of. Try something different once in a while. It does not hurt to experiment (with inexpensive things). I'm really not a sunflower nut, but one year I planted about six different varieties of sunflowers by the side of my house, but still very visible from the street. I got so many positive comments about them. I also have a few grandchildren. Once in a while I will get them to plant pumpkins, and they love it. I show them how to prepare the soil, how to water them so they don't wash them out of the soil, and also how to fertilize them. We don't get giant ones but one year they got a couple of 80-pounders. They were thrilled. Who is your own favorite gardening personality on TV, Radio or Print? I think Tom Piergrossi does a great job locally. Paul James is a nut, but a likeable nut on the national scale, however I have not seen much of him lately, maybe I am not watching when he is on, not sure. But I used to enjoy him. The rest are just so, so. Nothing to write home about. If they don't know, "How should I take care of this", or maybe "How large will it grow and how fast?" Just don't get the wrong plant for the wrong place. About a year ago I was driving about five blocks from my house, and saw a person had planted three Weeping Willows in the parking strip!! (true story) Obviously they had no clue how big they would get. In two years they were gone, cut off at the ground. Total waste of time and money. Now there is nothing there. I assume they were very frustrated and just gave up. So we are back to the top of this paragraph. Ask questions if you don't know. I try to tell them the best conditions to grow the plant, sun or shaded, type of soil and if it likes getting a lot of water or just being moist. How large or how fast may depend on how long they plan to be in the house. If they want something to grow fast so it looks good in a short time, that may be well. But if they plan to stay there for ten years a fast growing plant my not be the best choice. I know -- I cut down a Ficus benjamina six years after I planted it. It was a huge mess, too close to the walk and the house. I should have known. Berries on the ground, leaves on the roof, just not the right place for that tree. In my opinion, feeding Stag Horn Ferns with Bananas is just a joke. We re-mount lots of these for customers, and we see some with dried up Bananas. They are just black and dried up, nothing disappears, or breaks down. Just fertilize your Stag Horns with a general purpose fertilizer that has an ample amount of Nitrogen, which produces new foliage. I really don't think Bananas are rich in nitrogen. As I understand they have a lot of Potassium, for plants that usually is for more and larger bloooms. Stag Horn Ferns do not bloom. Not sure where this came from, but I hear it over and over. EAT your Bananas and fertilize your Stag Horns. I really enjoy talking to a novice or a person who is having an obvious problem they have not figured out. I always tell someone to buy an inexpensive plant though, especially if they are new to gardening or new to our area. It is horrible to see someone bring in a $60 orchid that looks really sad because they did not know how to take care of it. I can't even grow most of them! Buy an inexpensive Cymbidium or Epidendron. They are usually easy for almost anyone to grow. Work your way up from there, if you are successful. Don't buy a $200 Lepidozamia because it looks exotic, start with a $30 Cycas revoluta, if that survives a year, then consider something else. Failure equals lack of enthusiasm, which might mean they will lose interest in gardening, period. Help make them successful, and they will come back for more. Do you live In coastal southern California? Do you grow any of these Herbs?